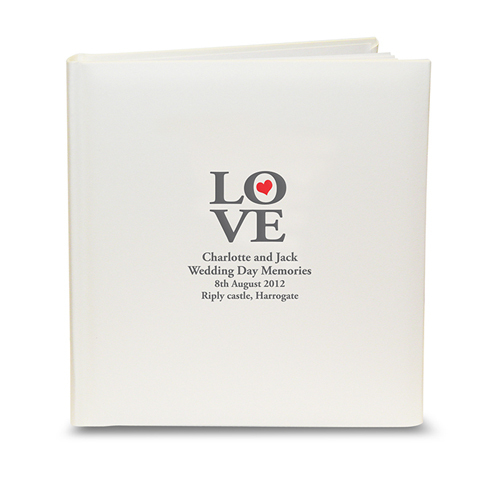 This LOVE Traditional Album can be personalised with any message of your choice over 4 lines up to 25 characters per line. The first two lines are in bold. The word 'LOVE' is fixed text. Ideal for Weddings, Engagement gifts, Anniversary presents, Valentine's Day.